On March 13th, The Federal Motor Carrier Safety Administration (FMCSA) issued a revised proposal to mandate that electronic logging devices be installed in interstate commercial buses and trucks. The requirement would reduce paperwork burdens on carriers, help enforce hours-of-service rules, and ensure that drivers are not harassed, FMCSA said. The new proposal supplements FMCSA’s February 2011 proposal. FMCSA stopped work on that requirement in 2012 after a federal court ruled that a previous regulation mandating the devices for some carriers did not properly prevent the ELDs from being used to harass drivers. The proposal addresses new technical specifications for ELDs, clarifies hours-of-service supporting document requirements, mandates ELDs for drivers currently using record of duty status, and outlines technical and procedural provisions aimed at ensuring ELDs are not used to harass vehicle operators. In an effort to lessen motor carriers’ and drivers’ fears, FMCSA said in its statement that the rule protects privacy because electronic logs would only be available to law enforcement or FMCSA during compliance reviews, roadside inspections, and post-crash investigations. “American Trucking Association supports FMCSA’s efforts to mandate electronic logging devices in commercial vehicles as a way to improve safety and compliance in the trucking industry and to level the playing field with thousands for fleets that have already moved to this technology voluntarily,” American Trucking Association President Bill Graves said. The rule would come with a new prohibition on carriers harassing drivers. This could carry up to an $11,000 fine. Carriers must allow drivers access to their logs, and the logging devices must be able to be muted when drivers are asleep. 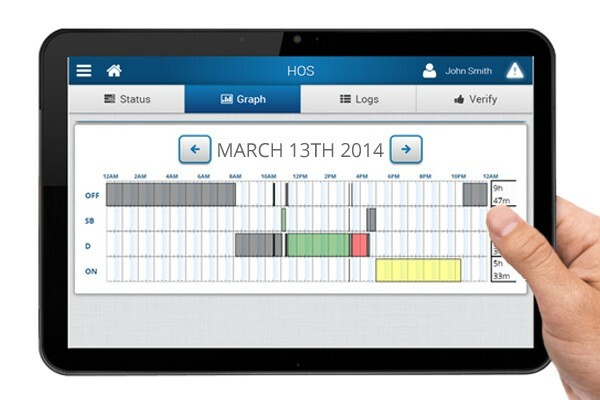 Ultimately, The proposed rule will reduce hours-of-service violations by making it much harder for drivers to misrepresent their time on logbooks and avoid detection by law enforcement personnel and FMCSA. Analysis shows it will also help reduce crashes by fatigued drivers and approximately prevent 20 fatalities and 434 injuries each year for an annual safety benefit of $394.8 million. The proposal will soon be published by FMCSA in the Federal Register, starting a 60-day period comment period for the public. The comments will then be considered by the agency before making the rule final. As proposed, after FMCSA makes it final the mandate would take two years to take effect.